We Have 60 Models. Need help finding your model number? This is an authentic DeLonghi replacement part. This exhaust tube hose is commonly used with portable air conditioners. The main function of the exhaust hose is to move hot air out of the air conditioner. The length of the hose ranges from 14 inches when it is not extended, to 44 inches when it is extended. This hose is made of plastic and built to be crushproof, and it is sold individually. 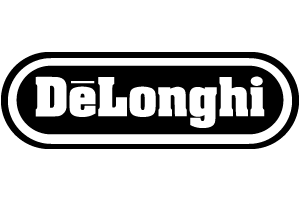 This is an authentic OEM replacement part sourced directly from DeLonghi. This window bracket is commonly used with air conditioners. This one hole window bracket is part of the exhaust assembly, it is placed in a window, and the vent I placed in the hole. The hot air is pumped away from the machine, through the hose, out of the vent, and through the window. This allows the air conditioner to effectively and efficiently cool the room. The exhaust hose and the window vent are sold separately. This one hole window bracket is made of plastic, and it extends up to 38 inches to fit in your window. No tools are required for the installation of this replacement part. This window bracket is sold individually. This is a genuine DeLonghi replacement part. This window exhaust vent is most often used with air conditioners. It attaches to the exhaust hose tube and helps lead hot air out of the air conditioner through a window, the exhaust hose is sold separately. If you are not properly leading the hot air out of the hose through a window it will be impossible for the appliance to effectively cool the room. The window vent is made of plastic. This Stopper and Flange is sourced directly from DeLonghi and is compatible with various models of DeLonghi Air Conditioners. To ensure this fits your appliance, please see the "Model Cross Reference List" below. This Stopper and Flange connects to the vent hose and tends to wear out with time. If your Stopper and Flange have become damaged, worn, or lost, it needs to be replaced. It is made out of durable plastic, has dimensions of 17.8 x 15.2 x 7.6 cm, and is sold individually. This is an authentic DeLonghi replacement part. This fan is used in air conditioners. This is the main blower assembly, it connects to the motor and drives air through the unit and into the room it is cooling. This fan is made of plastic, and will need to be replaced if you notice damage of any kind. A well maintained fan ensures efficient cooling and operation. The hardware you will need to install this blower fan is sold separately. To successfully access and install this replacement part you will need pliers and a screwdriver. This is an authentic OEM replacement part sourced directly from DeLonghi. This straight exhaust hose adapter is used with air conditioners. This adaptor is installed at the end of the exhaust hose and connects the exhaust hose to the exhaust port on the back of the air conditioner. This adapter is made of plastic, and it is sold individually. This is a genuine OEM replacement part sourced directly from DeLonghi. This stopper is commonly used in air conditioners. This stopper is used to plug the opening in the condensed water tray that catches all the drips of water/condensation in the bottom of the appliance. This stopper is made out of black rubber, and it is sold individually. This is a genuine OEM replacement part sourced directly from DeLonghi. This angled exhaust hose adapter is used with air conditioners. It is attached to one end of the exhaust hose, then that end of the hose is attached to the tube adaptor in the window panel. This adapter helps secure the connection of the hose to the window, allowing the hot air to escape the room while your air conditioner works to cool the surrounding area. This exhaust hose adapter is made of plastic, and it is sold individually. This is a genuine DeLonghi replacement part. This flange and stopper are commonly used when you are install your air conditioner on a semi-permanent basis. To use this flange you need to drill a hole in an outside wall, or window pane, you then fit the flange into the hole, and attach the exhaust hose that comes from the unit to the flange. This helps lead the hot air away from the air conditioner and out of the room, allowing the air conditioner to cool the room more effectively. When this flange is not in use the stopper plugs the hole. The exhaust hose is sold separately. When an air conditioner will not blow air you should start by checking the air filter, then try testing the fan motor, and the control board. Use this troubleshooting guide to learn how to test each part. An air conditioner that won't blow cold air indicates there is likely a lack of air flow. The first places you should check for problems are the air fliter, the fan, and the fan motor. An air conditioner that will not start could mean there is a problem with the power cord, the temperature control, or the fuse. This troubleshooting guide helps you test the parts and find the source of the problem. Learn how to fix a noisy air conditioner by following our troubleshooting guide. Get your unit running smoothly again by testing each part of the fan assembly. Find out why the coils in your air conditioner keep icing up with our troubleshooting guide. This problem could indicate an issue with the air filter, the temperature control, or fan. When an air conditioner will not shut off you may have a defective temperature sensor. Learn to test and check the temperature control, the thermistor, or the control board.